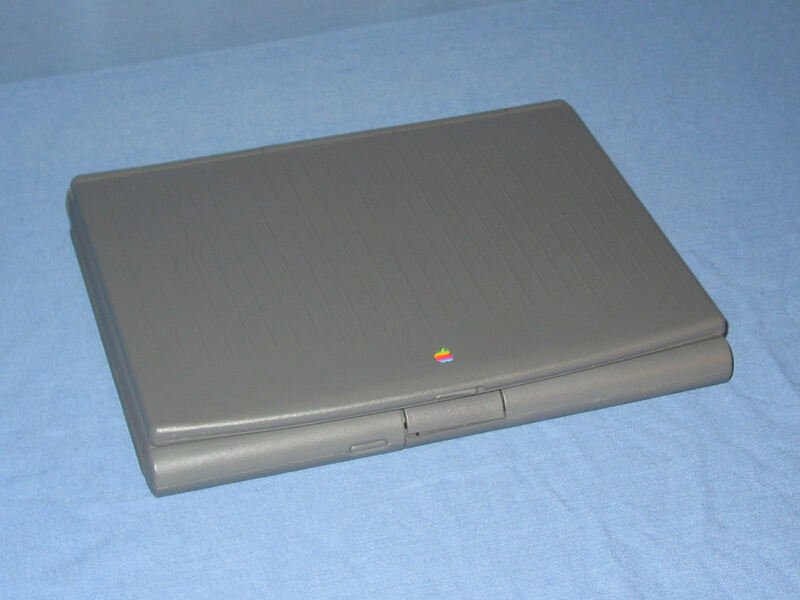 A Macintosh PowerBook Duo 210 with a keyboard, trackball and monochrome display. 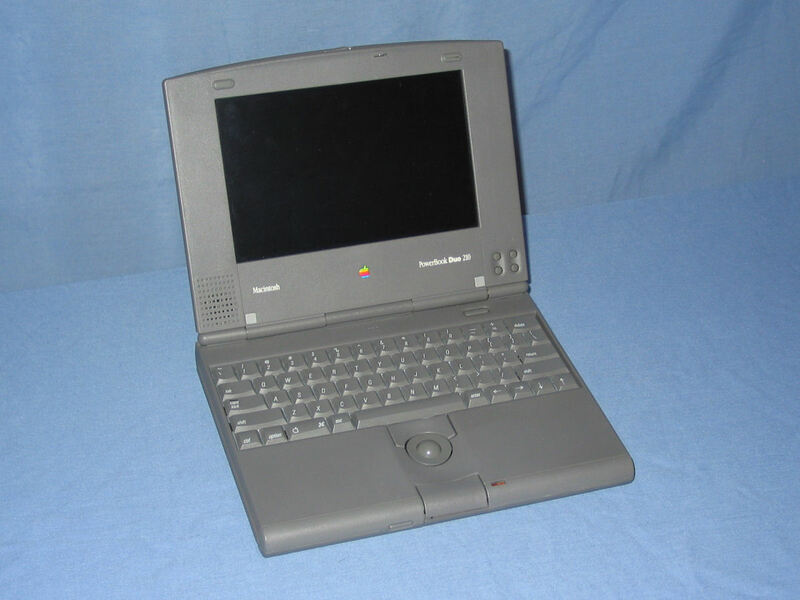 The PowerBook Duo with the lid closed is a surprisingly small unit. This was achieved by only providing a hard drive. 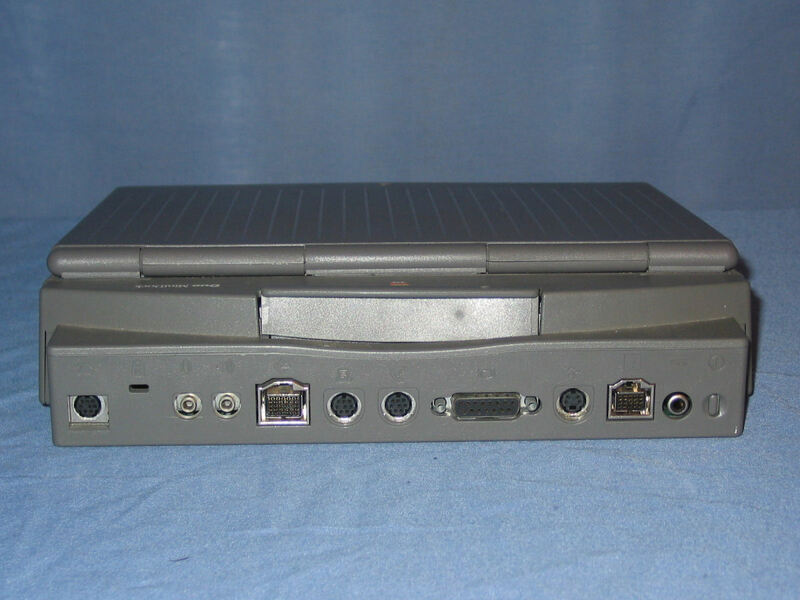 A floppy drive and/or CD-ROM are external accessories or provided by a DuoDock. On the rear of the unit two feet swivel downwards to provide a more comfortable angle to the keyboard. The feet also double up as covers for the internal modem (on left, not present in this example), and the serial port (on right). In between are the power button, dock connector (under a cover) and the power connector. 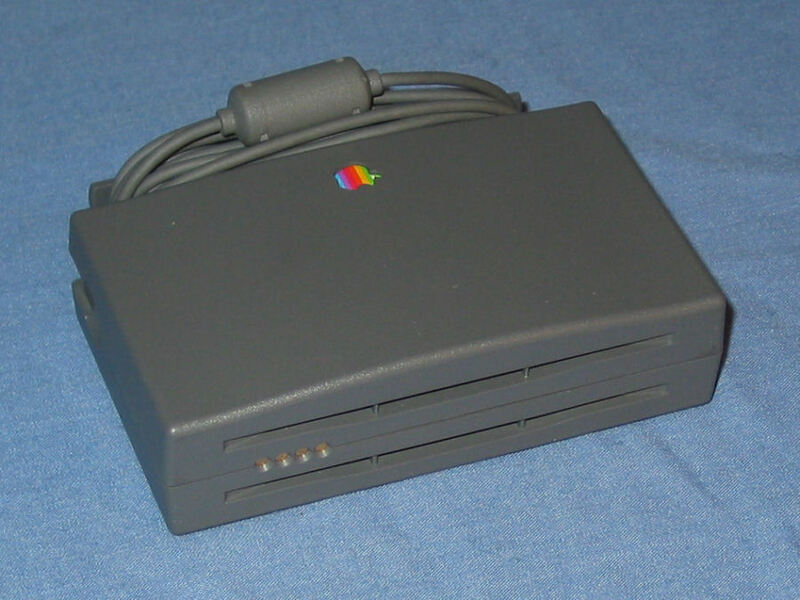 A Duo MiniDock. The two metal pins guide the dock connectors together while the plastic hooks clamp it all together when the lever at the top is depressed. 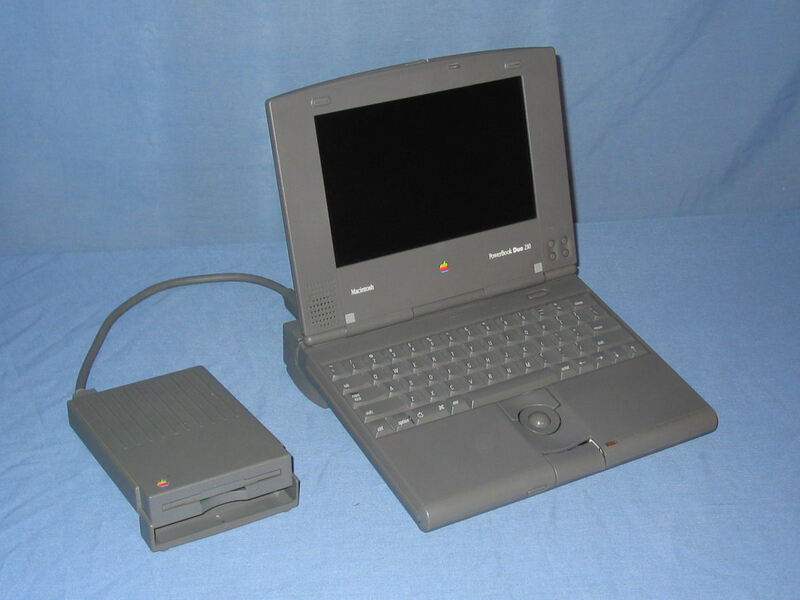 The PowerBook Duo placed in the Duo MiniDock. The feet are required to be swivelled up but the dock still places the keyboard at the same angle. 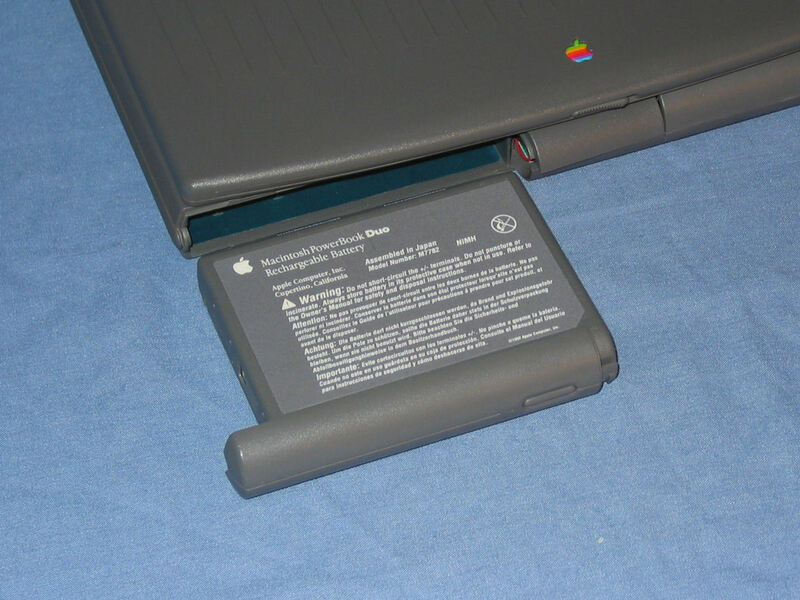 The rear of the Duo MiniDock whilst docked with the PowerBook Duo. 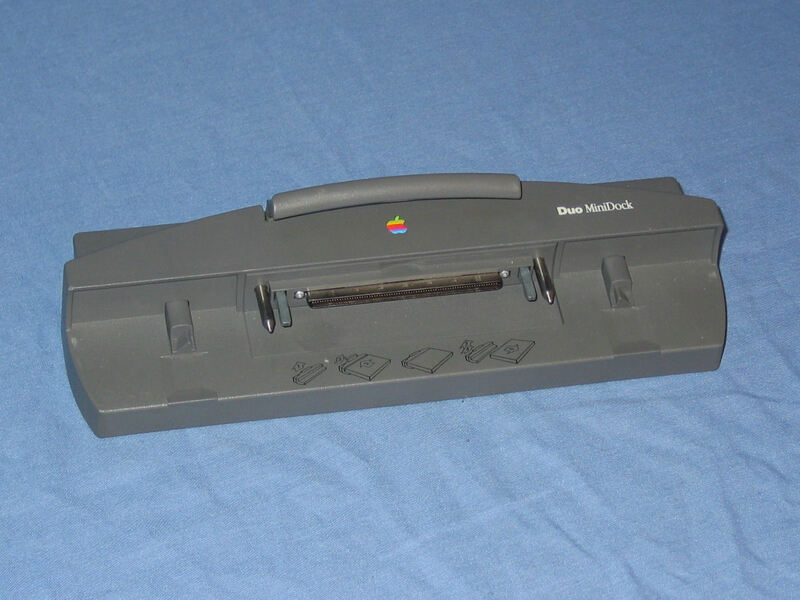 From left to right are: modem (this is a line connector for the internal modem), security slot, microphone, speakers, HDI-30 SCSI, printer, modem (standard serial port), external display, Apple Desktop Bus, HDI-20 floppy drive, power connector, and finally the power switch. 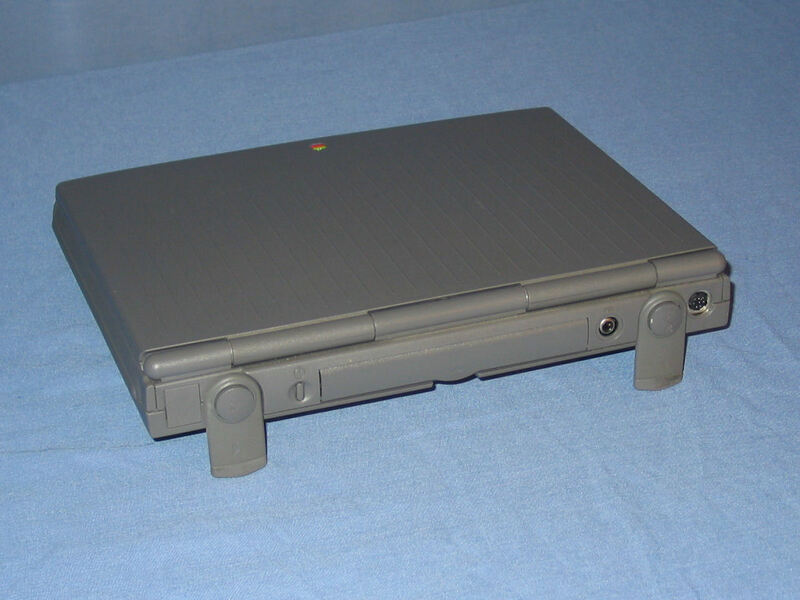 The PowerBook Duo in the Duo Minidock with a HDI-20 external floppy drive attached. 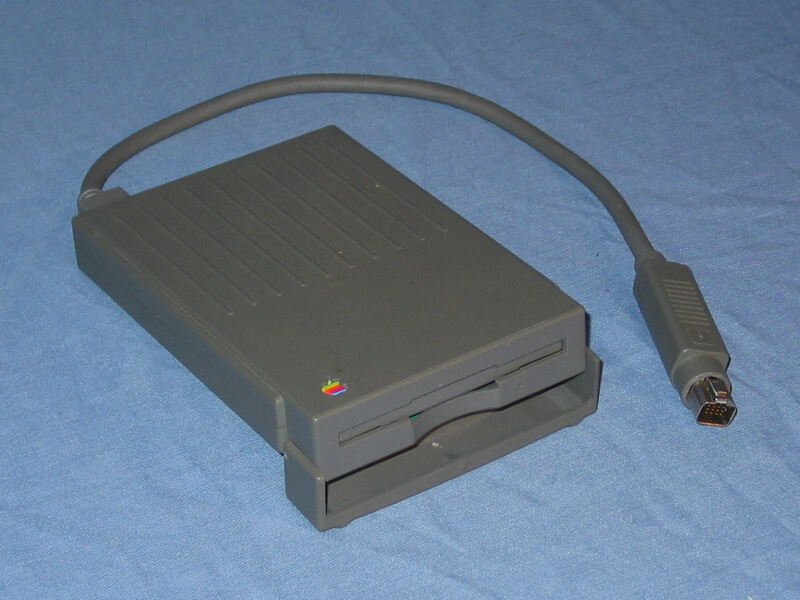 This is one of three ways (a full dock or the floppy adapter are the others) to use floppy disks with the Duo. 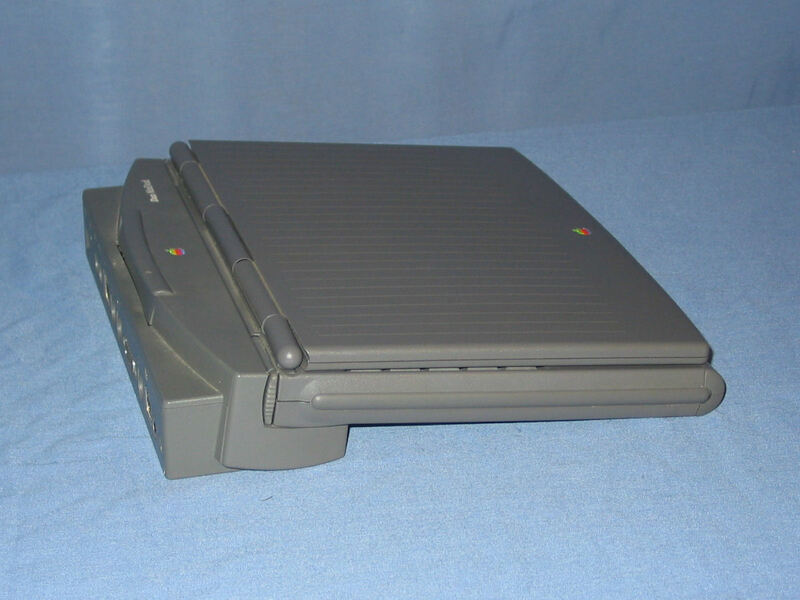 The Macintosh HDI-20 External 1.4MB Floppy Disk Drive was first released for the PowerBook 100. The hinged cover duplicates as a stand to lift the drive up as well as a dust cover when not in use. The battery on a PowerBoo Duo 210 is located at the front left. Depressing the button allows the cover to slide to the side which releases the battery. The AC power adapter. One interesting aspect of this power adapter is that the standalone battery charger is an accessory that attaches to the side of this adapter.